The President’s senior advisor said the government’s strategy will involve unleashing data to spark innovations such as AI and machine learning with the ultimate goal of interoperability for all Americans. LAS VEGAS – White House Senior Advisor Jared Kushner on Tuesday announced that the Trump Administration has a plan for making access to health records and interoperability a priority. “The president is determined to make interoperability a reality for all Americans,” Kushner said during a speech at the HIMSS18 conference. Key pieces of the overarching work to improve interoperability include overhauling the meaningful use program, expanding Blue Button and the MyHealthEData initiative to enable patients to access their medical data, CMS Administrator Seema Verma said here. Verma said that the meaningful use overhaul will become clearer in a series of proposed rules that will come by the end of this year and be open to public comment. CMS Chief Medical Officer Kate Goodrich added that the agency is focusing on making meaningful use program more interoperable, more flexible, and reducing the administrative burden. “We can achieve all three with the overhaul,” Goodrich said. Kushner explained why the Trump administration is acting now to tackle one of healthcare’s hardest problems. 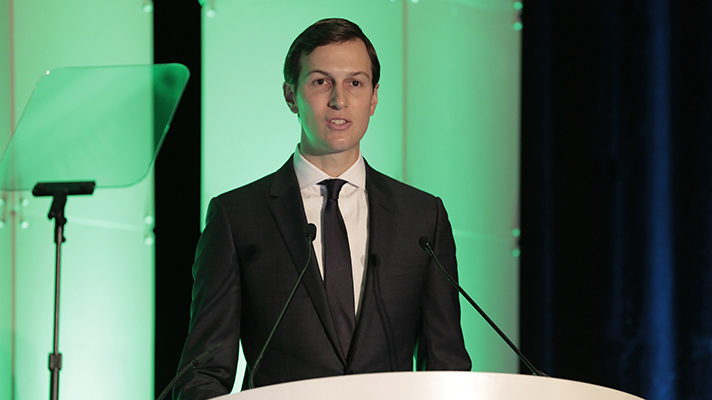 “Interoperability is about our shared bottom line: saving lives,” Kushner said. Kushner added that even with the most advanced military on Earth, the U.S. still struggles to exchange records between the Departments of Defense and Veterans Affairs. “I could not understand why medical records from the Department of Defense could not be seamlessly transferred to the Veteran’s Administration,” Kushner said. Kushner explained that now that EHRs have made the healthcare infrastructure almost entirely digitized, the Office of American Innovation has spent the last 6 months listening to a variety of stakeholders, ranging from doctors and clinicians to patient advocates, and technologists. Kushner added that achieving interoperability and ensuring access to health data will empower patients and reduce waste, fraud and abuse, while creating more interoperability to use AI, machine learning and big data will drive greater improvements in how we identify new diseases and treatments. Kushner stressed that the Trump Administration’s strategy will be a whole-of-country approach that the federal government hopes will spark innovation in the healthcare industry. As for when health IT executives and professionals can expect to see these plans become actionable, Verma said the government is working through the timelines quickly.